From the Contract Menu, click on Schedule. 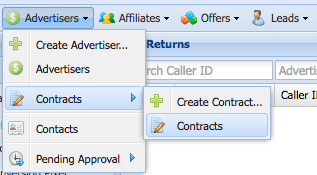 Within the Schedule Table, you can see the schedule settings for this Contract. Click on Add Schedule... to add a new schedule. Select the open schedule days. 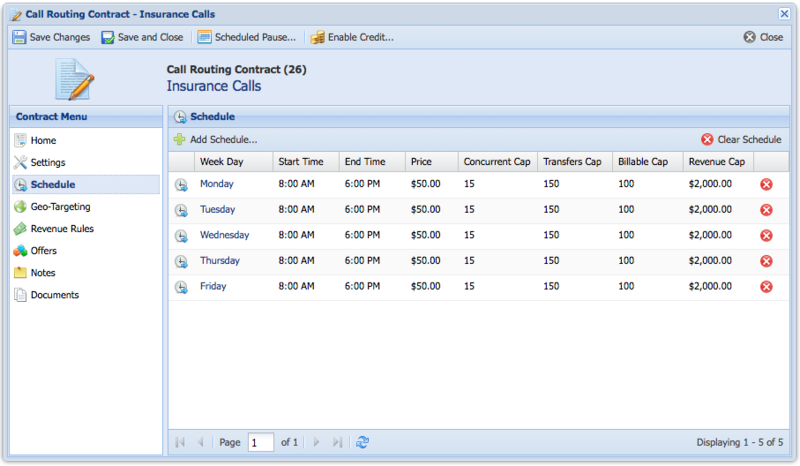 - Concurrent Calls Cap: Number of concurrent calls the contract can receive within that schedule. - Transfers Cap: How many calls can be transferred within that schedule. 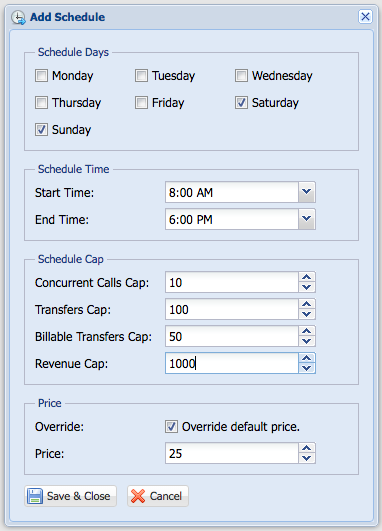 - Billable Transfers Cap: How many billable calls can be transferred within that schedule. - Revenue Cap: How much revenue can be generated within that schedule. Note: Hourly, Daily, Weekly and monthly caps can be managed at the contract level. Check override default price if you want to override the default contract price. This could be helpful if the price in week days is different than the price in weekends or morning shifts vs. night shits. Price is the revenue amount within that schedule.